I've read reviews of the nail polish and it doesn't seem to wear well. But one can't unsubscribe from any box - that'll be when they send out La Mer, Chanel and Lancome. Argh! 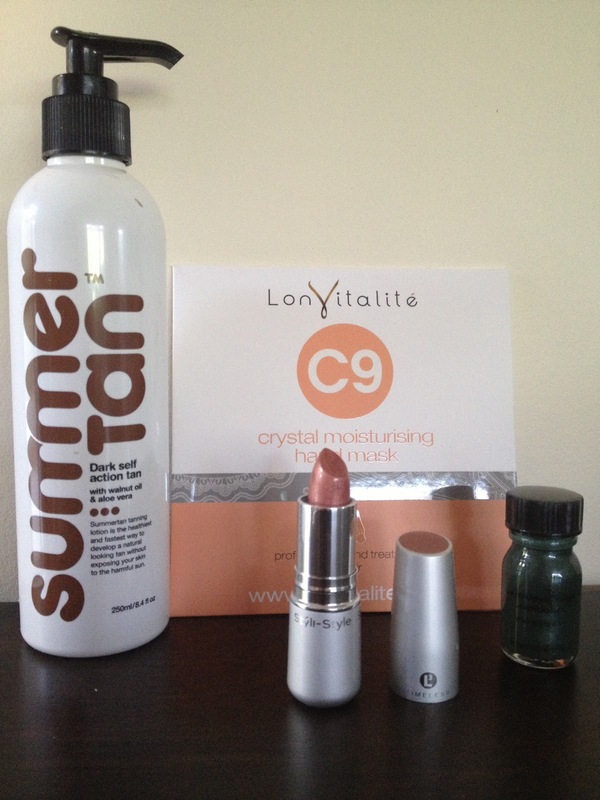 I really liked this months box, but I love tanning. I also received gorgeous baby pink lipstick & nail polish. The only thing that concerns me is the giant opening on the nail polish.. it seems like a disaster waiting to happen! Sounds like you got a better range of colours, I would have been happy with pink!! 4 items is pretty dismal isn't it. All the nail polish colours I've seen so far all seem to be pretty terrible, its not the best advertising for their brand really! Oh I would for sure Becks but I dont think you can post nail polish internationally coz its a dangerous good. I dont know for sure tho, do you?